Sensational businesswoman-turned-singer Dato Seri Vida (DSV) was recently slammed by netizens when stills of her new music video surfaced on social media. The images were shared on Instagram by a user named Reen Emran, and one of the pictures that got the people really riled up is a photo of her in a bathtub filled with RM50 and RM100 notes, gold bars and some jewellery, behind a gold backdrop. 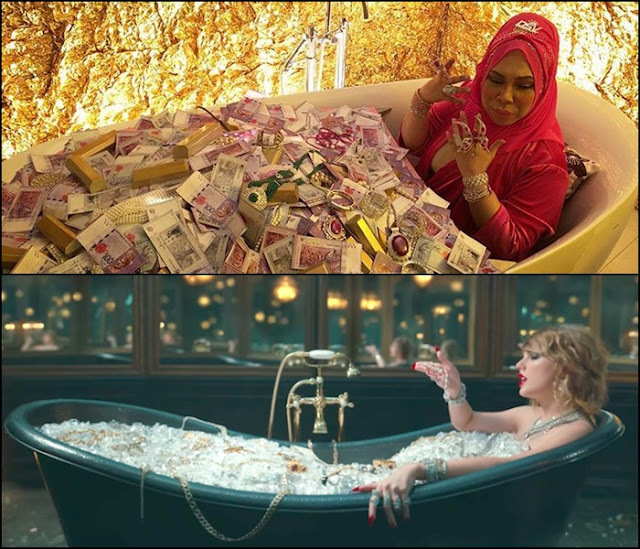 We don’t know about you guys, but we think that the scene kind of reminds us of one of the scenes in Taylor Swift’s new music video “Look What You Made Me Do” – you know, the one where she bathes in a bathtub full of diamonds. Who knows? Maybe it was inspired from that! Anyway, because of that picture, netizens are criticising DSV for showing off her wealth, but according to the “I Am Me” singer, that’s not what she’s trying to do, in fact, she’s actually trying to inspire people to work harder. 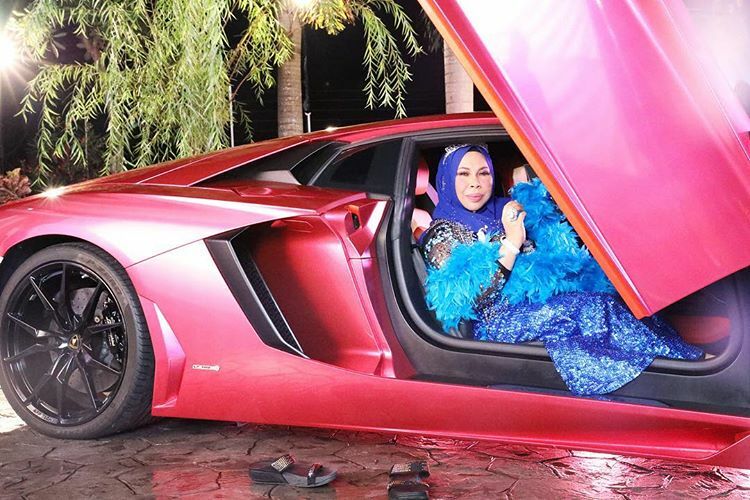 “Those images of luxury were supposed to inspire people to work hard, not to show off my wealth,” she said as quoted by New Straits Times. 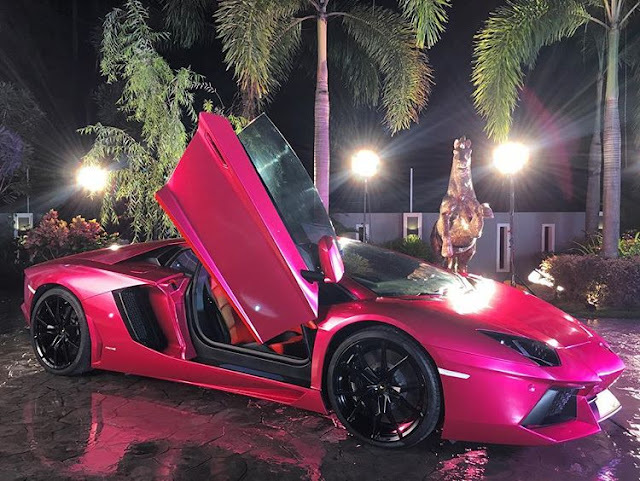 Meanwhile, the other two images feature DSV in an elaborate peacock-like costume, and another one is of her newly revamped pink Lamborghini. DSV also shared a photo of herself in the said Lamborghini on her own Instagram. Previously, DSV had already told TheHive.Asia about her plans on shooting a second music video as she is not satisfied with the first one. Like her first music video, the second one was also at her home in Ipoh, Perak. 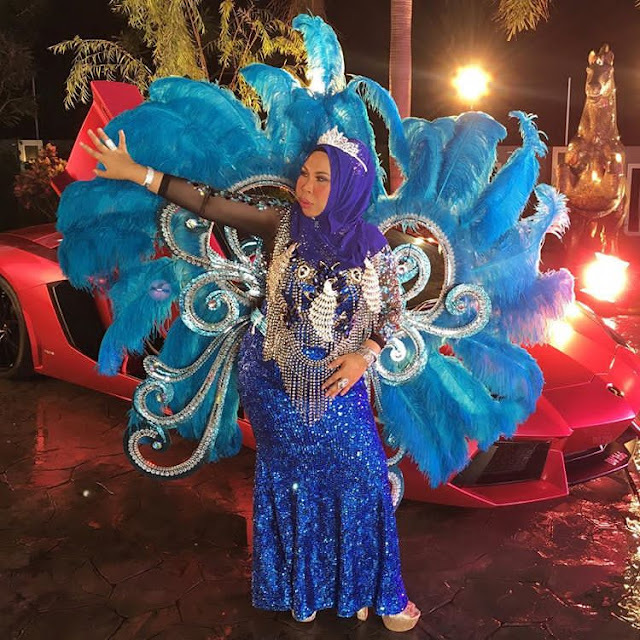 Although the whole production budget for the second video is not known, she admitted that she had spent RM300,000 in Bangkok only for her costumes.